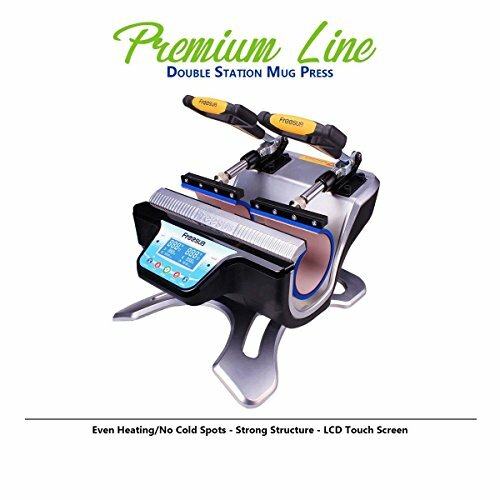 ✓MUG PRESS MACHINE - Premium Quality - "BEST BRAND ON THE MARKET"
✓Intelligent operation,high quality,double station,can transfer two mugs at a time. ✓Fashion appearance and smart structure, operation convenient and accurate. ✓Easy to use,the handle bar is comfortable and smoothly. ✓All our Heat Presses comes with 1 Full Year of Warranty.